Achieve smooth and supple feeling skin with the Firmarine Cleansing Set from Erno Laszlo, a duo of skincare treatments expertly formulated with advanced technologies, antioxidants and essential vitamins to create a bespoke regime. When combined, the cleansing oil and bar create a purifying mask that effectively sweeps away dirt, oil and impurities from pores. Ideal for mature and ageing skin, you can expect a firmer looking and rejuvenated complexion with a radiant glow. Utilising advanced dual-performance technology to combine potent botanical oils with efficient cleansing ingredients, this lightweight facial oil works to remove dirt and impurities whilst smoothing and lifting skin for a more firm and toned appearance. It features the anti-aging Marine Complex, a powerful blend of the algae Spirulina Maxima and mineral-rich Sea Water that works to effectively enhance and refine skin texture. Featuring innovative nano-encapsulation technology, the anti-aging soap bar delivers time-released spheres that penetrate the skins surface and allow the active ingredients to have a longer lasting firming effect. Enriched with Vitamins C and E, it gently eliminates oil and impurities whilst Spirulina Maxima, a marine algae extract, stimulates cell renewal and encourages skin elasticity to minimise the appearance of fine lines and droops. Lavish Shea Butter smoothes dry patches and enhances the absorption process. 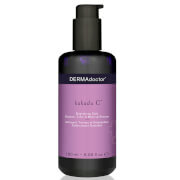 A lightweight yet powerful serum developed to instantly firm, tighten and boost elasticity of skin. Formulated with Spirulina Maxima, a high-powered marine algae extract that penetrates deeply to rebuild and strengthen cells, whilst antioxidant green tea shields from free radical damage and stimulates circulation for improved skin tone and texture. 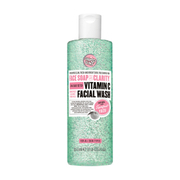 Gently apply a generous amount of Cleansing Oil in small circular motions on dry skin. Massage over face and jawline to open pores and trap dirt and makeup on the face. Follow with the Firmarine Face Bar to complete your bespoke Double Cleanse Ritual, for clear, balanced skin. Serum: Water (Aqua/Eau), Butylene Glycol, Glycerin, Spirulina Maxima Extract, Algae Extract, Pullulan, Cucumis Sativus (Cucumber) Fruit Extract, Sodium Hyaluronate, Camellia Sinensis Leaf Extract, Aloe Barbadensis Leaf Extract, Maris Aqua (Sea Water/Eau De Mer), Glycosaminoglycans, Magnesium Chloride, Sodium Lactate, Lactic Acid, Serine, Urea, Sorbitol, Potassium Chloride, Zinc Chloride, Lysine, Allantoin, Pentylene Glycol, Phospholipids, Tocopheryl Acetate, Retinyl Palmitate, Ascorbyl Palmitate, Sodium Chloride, Carbomer, Sodium Hydroxide, Disodium Edta, Phenoxyethanol, Methylisothiazolinone, Blue 1 (Ci 42090). Duo cleansing is the best! This product is awesome! My face is so fresh and clean, definitely a lover of the duo cleansing method! Face feels fresh and clean! 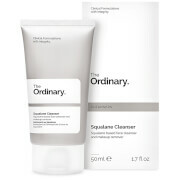 The cleansing oil feels amazing on the skin alone, and I love the feeling of the bar! Together they make the best cleaning duo I've ever tried! Definitely leaves my face feeling fresh, clean, hydrated and tight. Will be purchasing this again! I like both of the products. Although the liquid oil is very watery and hard to get on face without wasting a good portion of it. I use these only been about 1 week and only on morning, but yet I ordered a full size of both products. Love the new duos in travel sizes - soap plus cleansing oil. I bought the Firmarine version. My skin feels soft and supple without feeling greasy. The packaging is also a decided plus with the soap area having a drain to remove water from the bar. A really nice, practical travel kit. The only issue I have with this duo is the Firmarine cleansing oil is too liquidy, so that in putting some on your hand, you tend to waste it. Wish the cleansing oil were a touch thicker to prevent this.